Pixel 2 and Pixel 2 XL, the latest flagship Android smartphones from Google will get major software and security updates for three years. With the launch of fist generation Pixel phones last year, Google promised two years of OS updates and three years of security updates. With the new generation Pixels, Google is changing that approach a bit with extended software update. This means that the Pixel 2 and Pixel 2 smartphones will definitely be upgraded to Android P and Android Q, since they come with Android O out of the box. The details about the guaranteed software update was buried in the official specification sheet of the device. The Pixel 2 and Pixel 2 XL will get software and security updates until 2020. Android Police reports that the new Pixel phones will get three years software update because of Project Treble, which debuted with the launch of Android 8.0 Oreo. With Treble, Google is eliminating the dependency on chipset manufacturer to offer longer update periods to smartphones. While guaranteed updates for three years is a step in the right direction, Google still fails to match Apple in the software update category. Apple doesn't promise minimum timeframe for software update for iPhones but even four year old smartphones from the company generally receive the latest iOS update. With iOS 11, Apple offered the latest version of its mobile operating system to even iPhone 5S, which was launched in 2013. 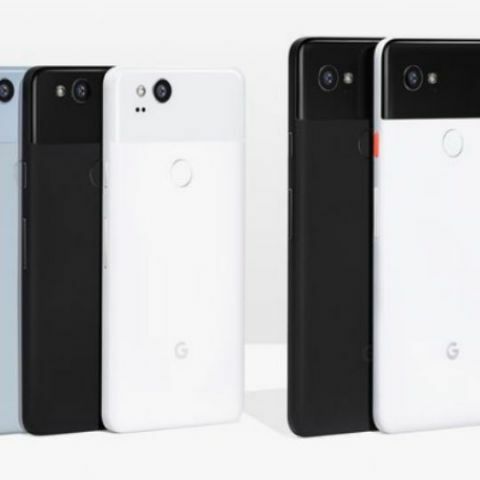 Google Pixel 2 and Pixel 2 XL offer an improved design and hardware but the company has focused on new machine learning and artificial intelligence functions of the product. Google is infusing AI into its apps and software to understand device performance and optimise the overall experience. With machine learning being pushed to core of Android, Google will be in a better position to understand degradation of device overtime and offer streamlined experience.